Tag Archive | "intel iris pro graphics"
As part of their regular improvements to drivers, Intel has released a new HD Graphics driver that applies to all Ivy Bridge and Haswell Ultrabooks. The new driver fixes a number of bugs and enhances game and program compatibility. We’re expecting about 20% graphics performance improvement on the Intel Iris graphics (e.g. Zenbook Infinity) over the HD 5000 graphics seen in some Ultrabooks but what if that isn’t enough for you? The Cyberpower Zeuss Hercules offers Intel Iris Pro graphics (HD 5200) with a full-HD display in a 1.9KG package. It looks very Ultrabook-like but could have the grunt to take it into high quality gaming territory. Students, take note! Intel Iris and Intel Iris Pro have just been announced as the new brands for the top two tiers of Intel’s 4th-gen Core processor (Haswell) graphics. 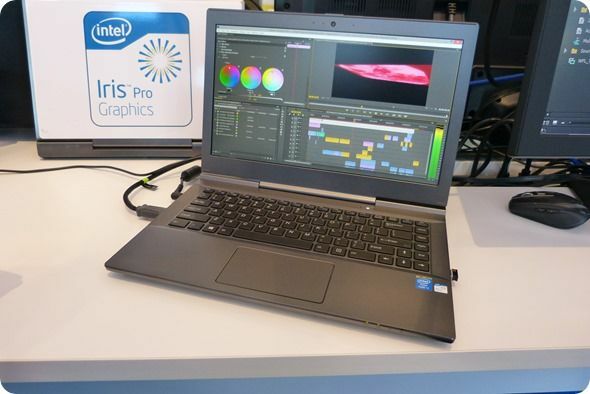 Iris will appear in Ultrabooks but, surprisingly, only on a 28W TDP processor. It indicates that there are some higher-level processing options coming to Ultrabooks. 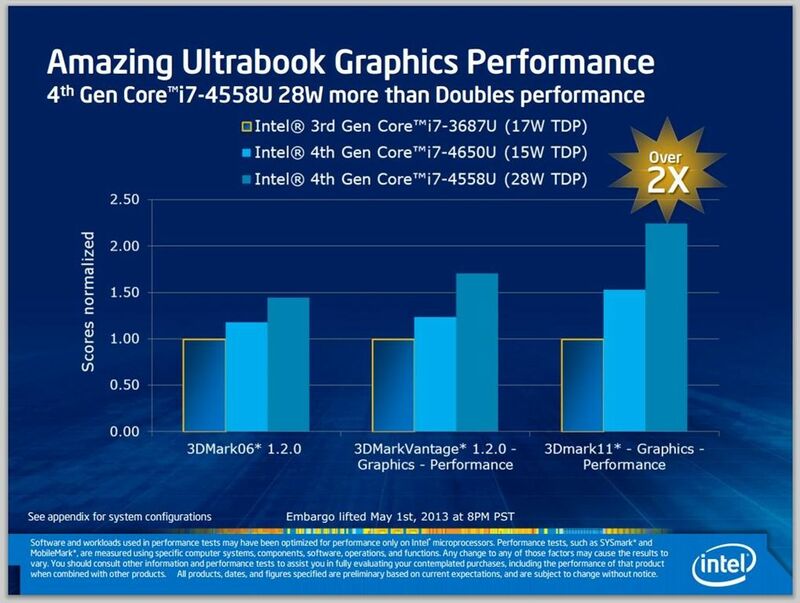 Other 4th-gen Core processors for Ultrabooks get HD 5000 graphics.